For the first time in the U.S., voters have chosen a black woman as nominee for state governor after Stacey Abrams was declared victorious in Georgia’s Democratic primary on Tuesday. 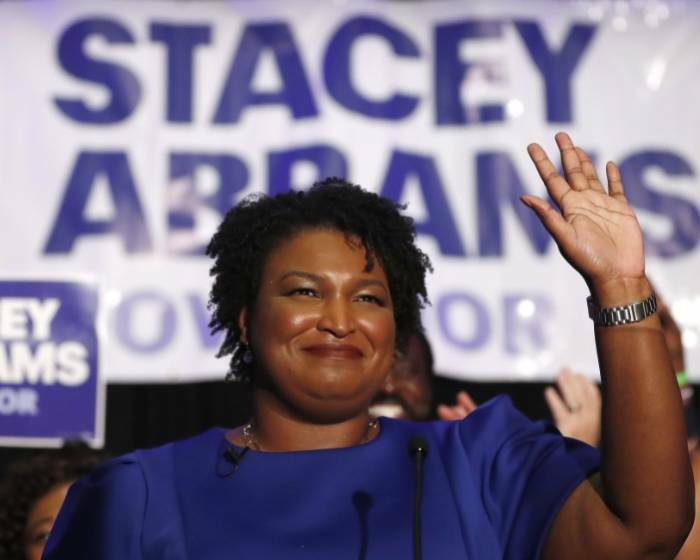 Abrams – a former state House minority leader and progressive who earned support from both Hillary Clinton and Bernie Sanders – beat Stacey Evans, also a former state representative, reports The Guardian. The result was among the most consequential in a series of primaries that brought successes for female candidates across the country ahead of the 2018 midterm elections. Abrams will attempt to make history as both America’s first black female governor and the first woman to hold the position in Georgia. The Republican primary, which was largely contested among a group of white men, looked headed for a run-off as neither of the candidates secured a majority of the vote. Abrams’s victory came hours after Amy McGrath, a retired Marine fighter pilot, defeated the Democratic party’s establishment candidate in the primary race for a House seat in Kentucky.